Catherine Craft is curator at the Nasher Sculpture Center in Dallas, Texas, a museum home to works by pioneering artists such as Alexander Calder, Alberto Giacometti and David Smith. 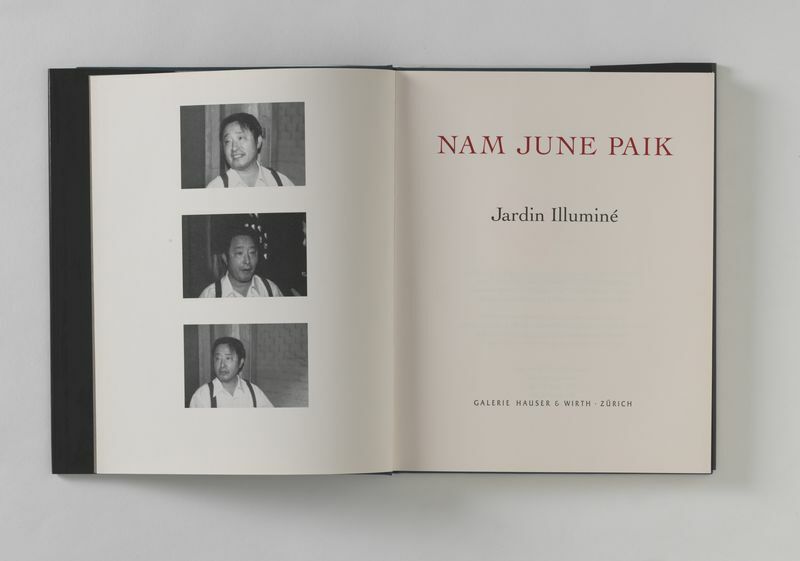 She gained her PhD at the University of Texas, and is the author of books on Robert Rauschenberg and the influence of Dada. After curating ‘The Nature of Arp’ at the Nasher Sculpture Center, Craft is overseeing a second installment of the exhibition at the Peggy Guggenheim Collection in Venice, on display 13 April – 2 September 2019. In a conversation with Hauser & Wirth, Craft sheds light on Arp‘s sensibility and humor, the energy of his sculptures, and the artist’s relevance to evolving scholarship and contemporary culture today. What initially drew you to the work of Arp? Before joining the Nasher, I wrote ‘An Audience of Artists’, a book about the impact of Dada on American artists after World War II, and Arp was very important to a surprising range of artists, from Robert Motherwell to Ellsworth Kelly to Donald Judd. I was already familiar with Arp’s contributions to Dada and Surrealism, but research for the book also led me to examine his later career more closely. I was struck that, despite the incredible variety of Arp’s work, there was always a recognizable sensibility. No matter the medium, his art seemed fresh and very much of the present. When I joined the Nasher in 2011, Jeremy Strick, the Nasher’s director, and I discussed possible projects, and I remarked that there hadn’t been an Arp retrospective in the U.S. since the late 1980s. 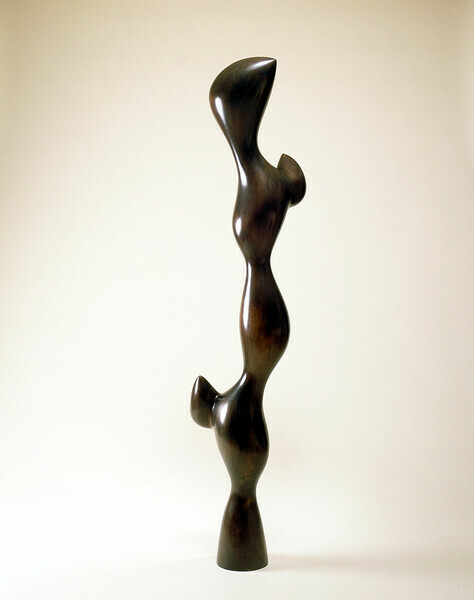 He encouraged me to develop an exhibition project, a prospect made all the more appealing by the fact that the founding work of Raymond and Patsy Nasher’s sculpture collection was Arp’s 1961 bronze ‘Torso with Buds’, which Patsy bought for Raymond as a birthday present in 1967. Can you describe an artwork by Arp that is of special interest to you? The checklist for this exhibition is filled with artworks of special interest to me! 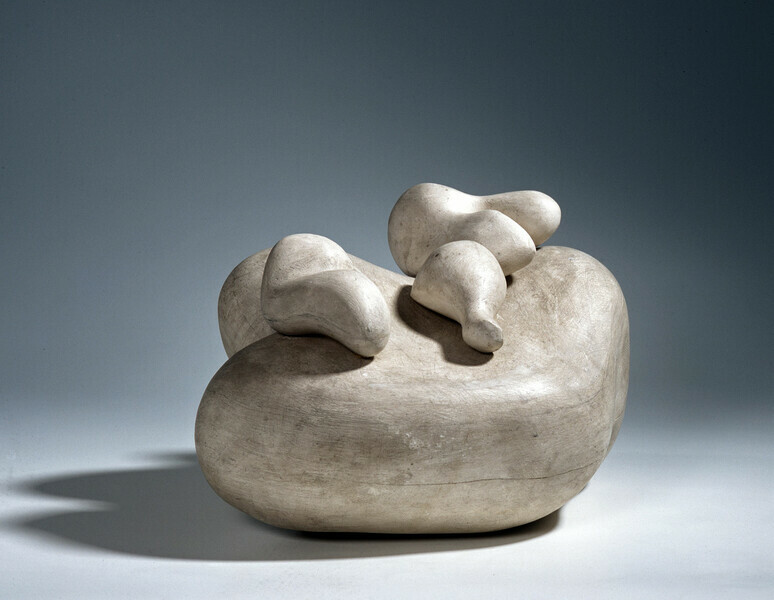 A key work is the sculpture I selected for the cover of the catalogue: ‘Sculpture with Disagreeable Objects’ (1930, Museum Jorn, Silkeborg, Denmark), one of Arp’s first sculptures in the round. It’s quite a radical work, an early attempt at a three-dimensional version of the undulating, curving forms, familiar from Arp’s reliefs but rendered as separate components that the viewer would have been able to manipulate and place in different positions. Arp was undermining the monumentality and permanence associated with the tradition of sculpture, but he was also proposing that a sculpture can lie close to the ground, more akin to a landscape than monolith. And this work has Arp’s characteristic humor – according to a poem he wrote about it, the three ‘disagreeable objects’ are a fly, a mustache, and a little mandolin. The version of the sculpture in the exhibition is an early plaster of the work, and it has a slightly roughed up appearance, suggestive of a long time spent in the artist’s studio: it hasn’t been freshened with white paint to make it appear pristine. When you actually see it, it has a much greater scale than in photos, and the ‘disagreeable objects’ are much more idiosyncratic in appearance. You can really appreciate the precariousness of the way the objects are balanced atop the larger, undulating lower element. Is there a lesser known work you feel more people should know about? I’m very excited about the inclusion of a 1936 papier-mâché sculpture from the Peggy Guggenheim Collection, titled ‘Maimed and Stateless’. It’s very fragile, so cannot be lent to any other museum, and as a result, it’s not very well known. But I think it provides a great insight into at least two of Arp’s most important concerns. 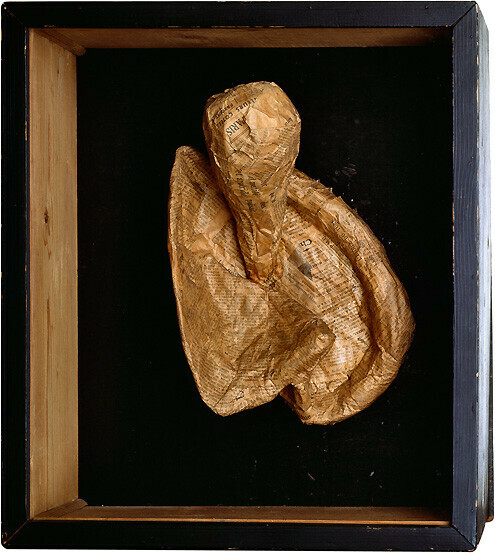 First, it demonstrates Arp’s subversive approach to the display of his own work. ‘Maimed and Stateless’ has been shown for many years upright, as a vertically oriented work in a shallow box, but for ‘The Nature of Arp’ we’re installing it horizontally, as it was originally exhibited and photographed. Arp seems to have regarded either presentation as acceptable, but changing its orientation gives the work a different kind of energy – it seems more animated, and I think you’re also more aware of its vulnerability as an object. Secondly, its title focuses attention on the political aspects of Arp’s character. ‘Maimed and stateless’ is a quote taken from a newspaper article legible on the surface of the sculpture, and seems to refer to individuals whose citizenship was in limbo – a situation Arp himself had faced after World War I, as a German citizen of the formerly French region of Alsace. From the beginning of his career, Arp firmly rejected both nationalism and militarism and was committed to moving between languages, activities, and mediums. ‘Maimed and Stateless’ is a kind of liminal object – fragile, provisional, capable of occupying different orientations and spaces – that very aptly embodies Arp’s refusal of dogma and absolutes. How did Arp’s own writing (poems and essays) inform his visual practice? Arp’s poetry was always in conversation with his art making. Sometimes, as in the 1920s and early 30s, during his most intensive contact with Surrealism, his writing and art were very close, while at other times he seemed to use each to pursue different interests. 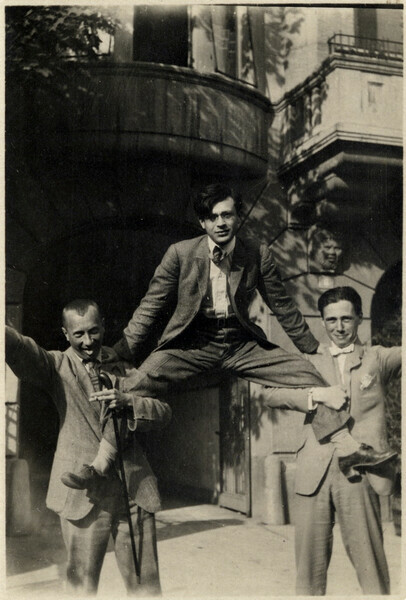 His prose writings, mainly essays, have been underestimated – his accounts of his early life and his art’s development have been crucial to our understanding of his work, and especially of the Dada movement, but they have too often been taken at face value. 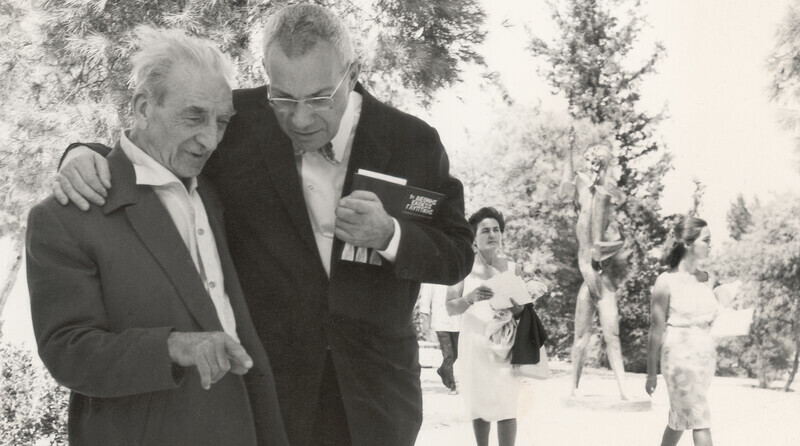 Arp was not an historian, but his recollections are insightful and often very moving. Can you describe what we know about the artist’s studio space? Arp worked in many different spaces; the best-known of them were at Clamart, outside Paris, and in Locarno. 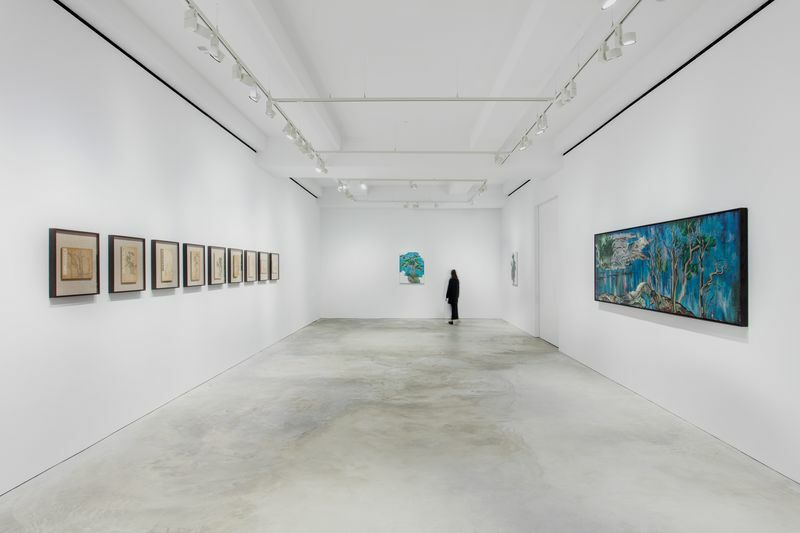 From photos, maybe the most interesting thing to see is that, when he could, he kept different kinds of spaces – a studio for sculpture, separate from a space for writing and making works on paper. Later photos of his sculpture studio show that he surrounded himself with multiple plaster casts of his sculptures, and he often took inspiration for new creations by fragmenting or building upon casts of old works. How important is Arp’s biography for an understanding of his work? I think his experience being born a German citizen in Strasbourg (which had been part of France just 15 years before his birth) to a German father and Alsatian mother, is crucial to understanding his work. He was between different languages and cultures from his childhood forward, and his work was shaped by an embrace of fluidity between categories, whether between art and poetry, painting and sculpture, or French and German. Can you describe his circle? Arp embraced collaborative activities from the beginning of his life as an artist and writer, and many of his relationships were important to his work, including lifelong friendships with Max Ernst, Kurt Schwitters, and others. Arp was known for his conciliatory and open nature, and he was one of the only artists of this period to exhibit with, and befriend, artists of different persuasions: Dadaists and Constructivists, and a bit later both Surrealists and members of abstract artists’ groups. And after World War II, Arp enjoyed meeting younger artists as well, such as Ellsworth Kelly, Jack Youngerman, and Ralph Coburn, who visited him in Clamart. Is there anything you would change about the public perception of Arp’s work? I would hope for a greater appreciation of the range, vitality, and depth of his work. 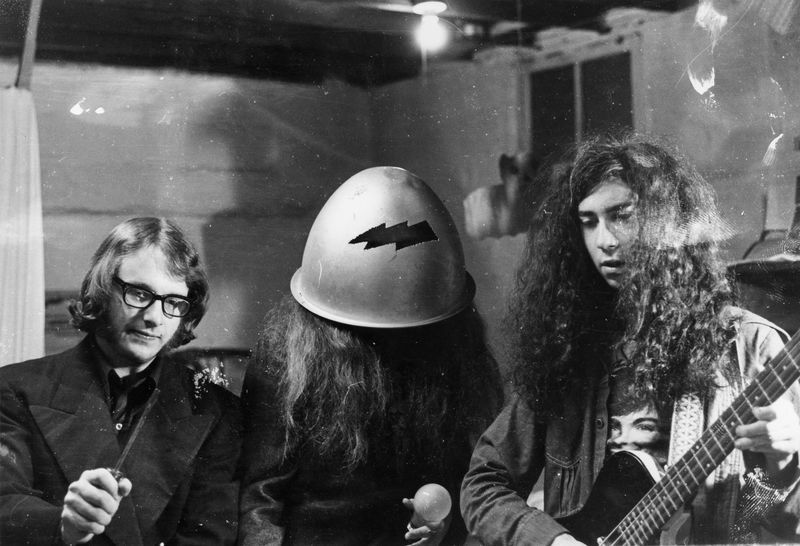 He’s an artist that people think they know, but they’re usually familiar with just one aspect – the Dada works, or his Surrealist reliefs, or his post-1945 sculptures. He had such a tremendous impact on so many artists, over several generations, that by now many people only know him through works by other artists, which superficially resemble what Arp was doing with the precision and lightness of touch that characterized all of his efforts. What is the significance of bringing Arp’s work to the Peggy Guggenheim Museum in Venice? Conceptually, the exhibition is quite consistent at both venues. In Dallas, we had a few loans that were too fragile to travel to a second venue, but there are different works included in Venice that are excellent compensation. The Peggy Guggenheim Collection is a wonderful venue for an exhibition of Arp’s work. 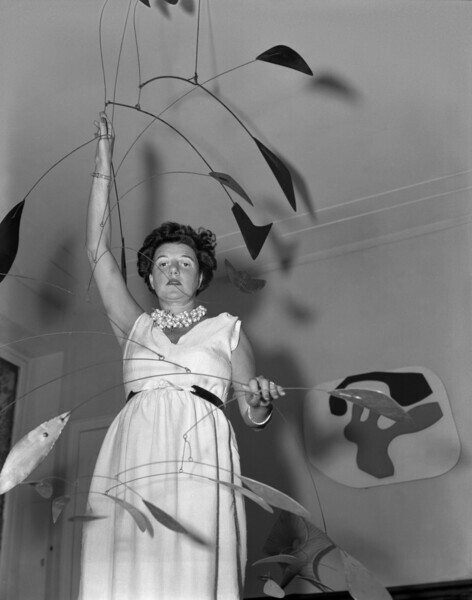 As with Raymond and Patsy Nasher, Peggy Guggenheim began her collection by acquiring a work by Arp, a small sculpture called ‘Head and Shell.’ She and Arp had a long acquaintance, and she acquired six more works by him, all of which will be included in the exhibition in Venice. 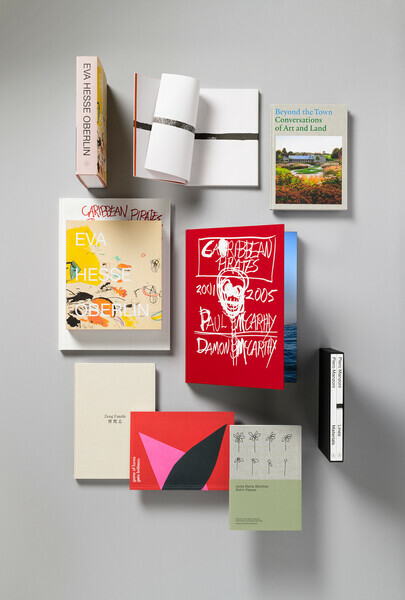 Given Arp’s embrace of collaboration and his friendships with other artists, we will also include a related presentation of works from Peggy Guggenheim’s collection by artists who had connections with Arp, such as Kurt Schwitters, Max Ernst, El Lissitzky, Theo van Doesburg, and Robert Motherwell. What has the process of in-depth research and getting to know the work of Arp been like? It’s been a strange and wonderful journey, and I’ve been surprised at times by how much we still don’t know about Arp’s life and work. 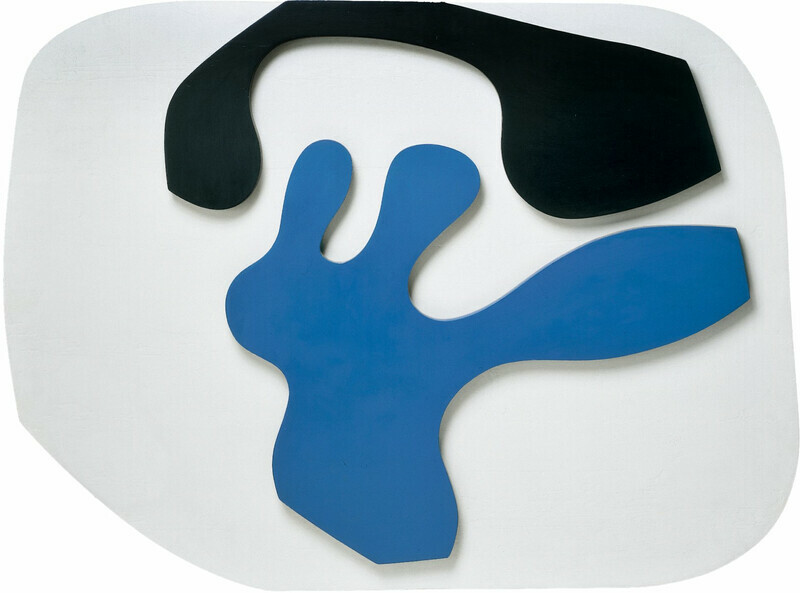 Arp’s attitudes toward the concepts of originality and the uniqueness of a work of art were quite radical, and I think we still have to develop a way to discuss these and analyse their significance. Finally, it has been surprising to witness how recent political events have made Arp’s resistance to nationalism and insistence on a fluid cultural identity appear crucially relevant to contemporary life. 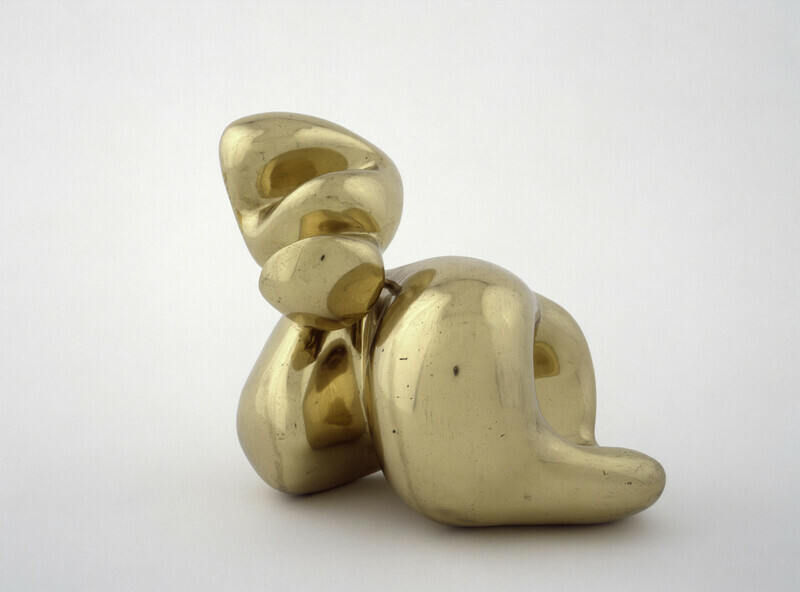 ‘The Nature of Arp’, curated by Catherine Craft and organized by the Nasher Sculpture Center, Dallas, will be on view at Peggy Guggenheim Collection, Venice, from 13 April – 2 September 2019.